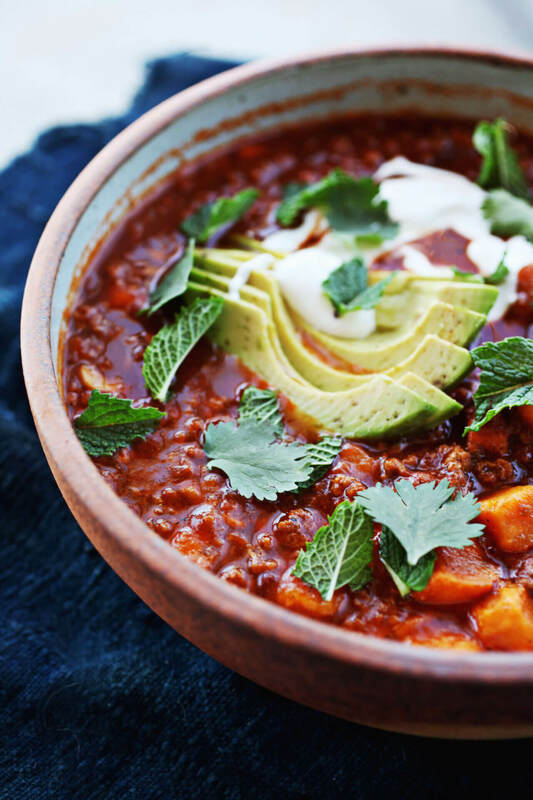 In this recipe, the sweet potatoes stand in for beans and add a pleasing sweetness to an earthy, deceptively rich chili. Serve with sliced avocado, sour cream, tortilla chips or cilantro if you like. Cover and cook at a brisk simmer for about an hour. Check the sweet potatoes periodically, you want them to crush easily under pressure from a wooden spoon but not completely dissolve into the chili. Serve warm.